Magic Carpet Cleaning is a company providing wide range of cleaning services in Wandsworth SW18. Our experienced carpet cleaners in SW18 Wandsworth are certified by and know how to deliver great results at very reasonable rates. Call our expert technicians now on 020 8861 0979 and your carpets will be cleaned with the most effective steam cleaning equipment in the industry. You get a free price quote that comes with no obligations. When you want spotlessly cleaned and refreshed carpet, call Magic Carpet Cleaning! For all people living or working in Wandsworth SW18 and looking for reliable professional cleaning services – our carpet cleaners are here to help! With us you can expect a thorough cleaning of your domestic or commercial property in Wandsworth SW18. 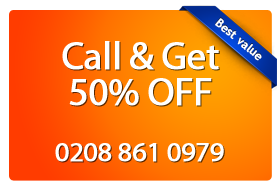 Why Choose Magic Carpet Cleaning in Wandsworth SW18? We expand our work every day, we learn and implement new methods of rug, carpet, sofa, furniture, property treatment for the cleaner and healthier life of our clients. We are a socially responsible company that cares for the health of our customers and the healthy environment so we use only 100% safe eco-friendly detergents. Cleansing professionals of Magic Carpet Cleaning are certified to handle any situations related to professional cleaning. We do not have hidden fees and additional burdens to the cost of our work! Ask our experts in the specific page for Wandsworth NOW! Do not miss the chance of getting a free quote and gaining back the cleanness of your property! The how water extraction method is very effective for deep cleaning of rugs and removal of intense pollution, including microbes. It can remove up to 99% of the dirt in the carpet. This treatment is hugely effective for destroying all allergens in the fabrics so it is preferred by people who are allergic to dust and soil and also for families with children. The detergent is rubbed into the textile floor and then sucked out by vacuum. The dirt and blemishes are removed as if by magic. Detergents we use in dry powder cleaning are nearly 100% biodegradable. They are placed on the rugs in the form of powder and then cleaned with vacuum. This approach removes all mud without using water. This makes the method suitable for offices and places with high human visitation. People do not have to wait for the textile floor to dry and can continue safely on their way. Lack of water protects delicate fabrics from color change and mold. Call us at 0208 861 0979, and you will see how easily all stains – old or new – are removed from your home or office. We have the best certified professional staff and equipment; we can offer the highest quality service. We at Magic Carpet Cleaning remove without residue coffee stains, traces of pet urine, wine, food, chewing gum, chocolate, etc. 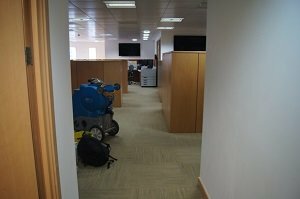 Our carpet cleaners in Wandsworth work with preparations of diverse origin – acid, alkaloids, etc. They clean artificial and natural materials with equal success.